Grading is still one of the most time-intensive processes for teachers. Sure, there are scantrons, but you have to have access to the grading machine. Come exam season, you have to fight to get access to the Scantron machine. However, grading just got a lot easier. We had the chance to ask John Viebach about his company, ZipGrade, and how it makes teachers’ lives easier. ZipGrade turns a teachers iPhone or iPad into an optical grading machine capable of reading 20, 50, or 100 Question tests instantly. Answer sheets are free to download and print. Results can be exported from the app or via the reporting website. ZipGrade’s primary target is individual teachers with a personal iOS device or single classroom iPad. Beyond that are features that cater just as well to college professors looking for large format tests or grade school teachers doing daily exit tickets. 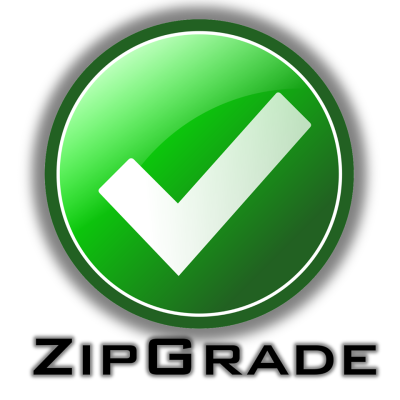 What makes your ZipGrade different than what is currently available? ZipGrade grades papers instantly in the classroom for tests of up to 100 questions. Results are accessible directly within the app, a companion website (zipgrade.com) or exported to Dropbox, Google Drive, or email. No other app or system offers this set of features or level of flexibility at a yearly cost of 2 cappuccinos. My wife is a teacher that was teaching an SAT prep class. With no access to a scanning machine, she was grading practice tests by hand. With some previous research into computer vision, I knew there had to be a better way to grade papers. My wife has been my best beta tester as she uses the app in her college biology class on a regular basis. We’ve been running the MVP of ZipGrade for a year with great success– over 1.5 million graded papers. I have over 14 years experience in product management and development in the futures and options trading space. My wife has been in education for just as long. I’ve just recently left the finance industry to focus on ZipGrade. With the success and education gained from talking to hundreds of teachers this school year, we’re focusing this summer on: applying those lessons to the existing iOS app, rebuilding the reporting website, and, most importantly, building the Android version of ZipGrade. This seems fantastic. Can’t wait to put it in action. I use it and I love it!!!!!! But, when the android version?? ?